Choosing the right rifle scope is very important for safe and improved hunting. It is one of the most important features of a rifle. A decent riffle scope can help you to hit your target perfectly from a long range. Whether you are playing, or hunting animals, you need to have a quality scoop alongside a good rifle. If you are looking for a night-vision scope with high performance, then the Armasight WWZ 4X Night Vision Gen 1+review will give you the perfect information you need for purchasing one. The Armasight WWZ 4X Night Vision Gen 1+ Rifle Scope comes with some advanced features, and quality to enhance your shooting experience. This night-vision scope provides great vision at night within the mid-range area. You will have excellent vision, target acquisition, observation and aiming capability with this outstanding scope. I will discuss about some significant features, advantages and disadvantages in this Armasight WWZ 4X Night Vision Gen 1+ Rifle Scope review. 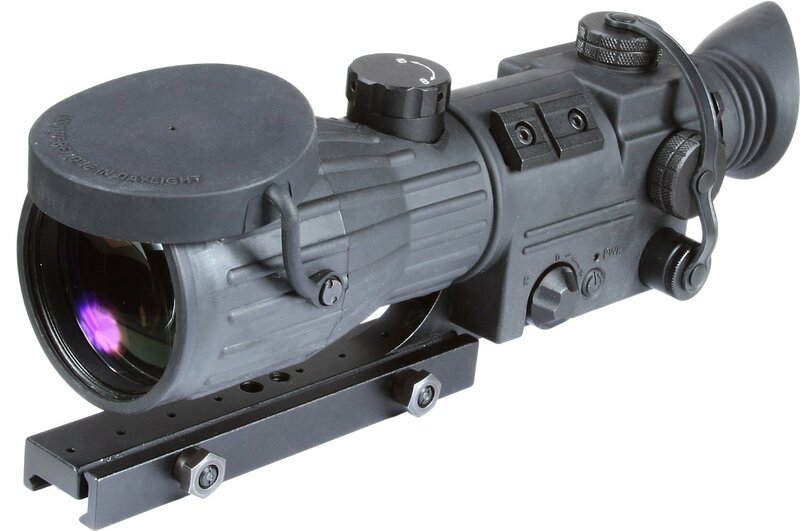 This Armasight scope comes with a 4x magnification lens. With this four time zooming capability, you can target the hitting zone perfectly. You can focus your targeted object and then locate you hitting zone. This high-performing lens helps you to acquire your target within a medium range. You will be able to see moving and still object clearly in the dark of a night. The infrared illuminator can be detached from the scope if necessary. However, this feature comes very handy when you are hunting in the night. This infrared can be used in the long-range shooting. You perfectly point out your target zone and hit it easily. You can adjust the brightness of this illuminated reticle according to the light and have a perfect sight of your target. It is a handy feature to shoot a movable object. The Armasight WWZ 4X Rifle Scope is designed for professional usage. The stylish design aluminum body fits perfectly with your rifle. The scope is water resistance. 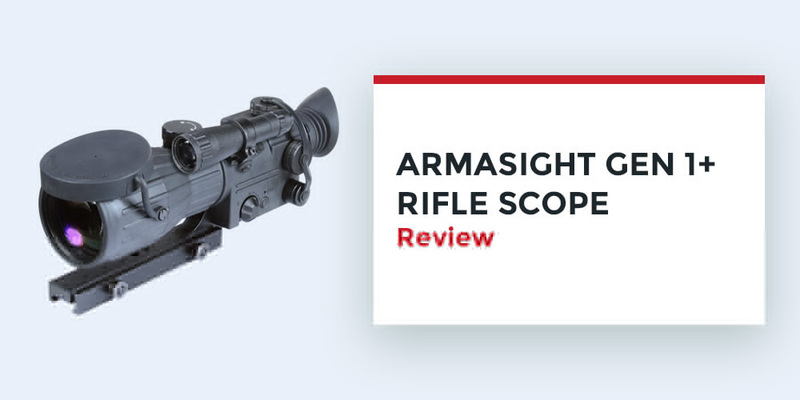 Almost everyone has a pleasant experience with this Armasight scope. The product features the top wheel focus for better accuracy and ergonomics. The lens and night-vision feature help you shoot accurately in a dark environment.! Therefore, you can go hunting in all sorts of weather. Q: How Much Further Can You See in the Night with the Scope? A: The scope will help you seeing 100 yards without a problem if there is a source of light nearby (for example, moonlight). But the scope is only good for 60 yards without the light. 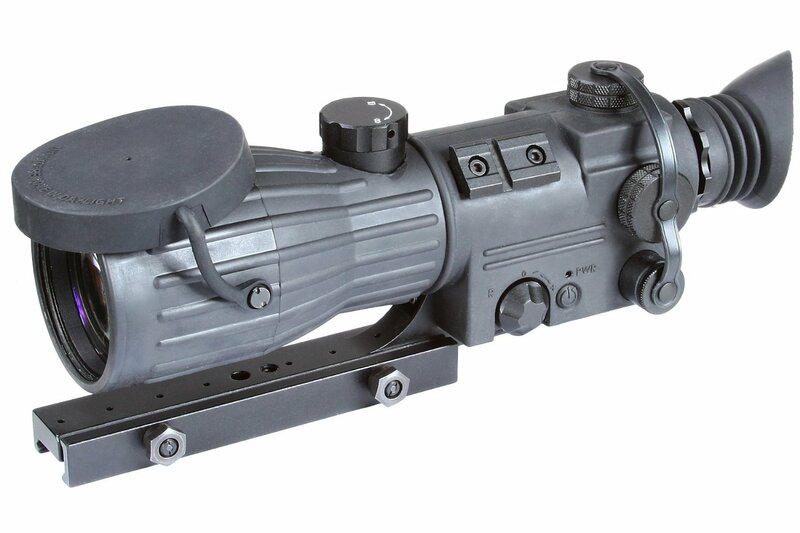 Q: Does this Scope Come with an IR Illuminator? Q: What type of Battery does it have? A: It has CR123 included in the package. It comes with only one though. 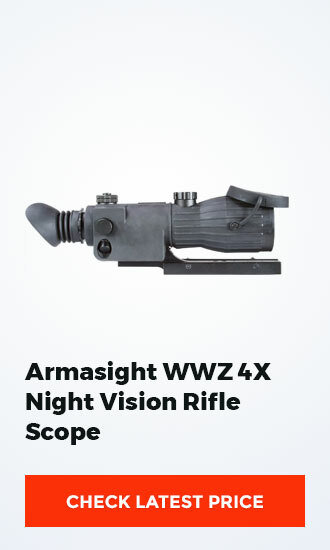 Armasight WWZ 4X Night Vision Gen 1+ Rifle Scope is one of the most popular rifle scopes for its high-class lens and wonderful magnification zooming. 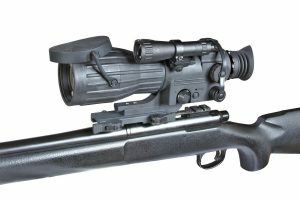 This first-generation tactical rifle scope is the best solution for a hunter and tactical shooter. With the clean focus, target vision and improved target vision capability, the Armasight WWZ 4X easily stand out from the others.